OCLC Hot Topic: Linked DataLearn more about the future of bibliographic metadata. OCLC Hot Topic: Open ContentLearn how OCLC enhances the visibility and accessibility of open content. Trending Now: Recasting Services to Support Scholarly Identity WorkHear the results from 30 semi-structured interviews with academic librarians, faculty, and PhD students that explore current practices that researchers use to create and manage scholarly identity (SI) via online platforms like ORCID. The results indicate that online SI tools are confusing, difficult to maneuver, and fraught with perils that might damage professional reputations. Join us to receive resources for effective implementation or expansion of SI service. OCLC Hot Topic: Merging WorldCat Records Help the OCLC community enhance WorldCat quality. OCLC Hot Topic: Research Data Management (RDM)Learn how research universities manage research data through the research life cycle. (Re)Casting Call: Sculpting Services and Strategies for Cultivating Online Scholarly IdentityScholars are increasingly required to manage their online scholarly identity (SI) using digital tools and social networking sites like ORCID to promote professional reputation and research impact. Cultivating an online presence is particularly pressing for individuals seeking tenure-track positions and career advancement. Panelists will consider: How should (or could) academic librarians assist users who wish to build their SI? What services are currently offered? What opportunities, as well as concerns, surround this work? Panelists will also provide information for librarian-scholars who manage their own online SI. Audience engagement opportunities include a hands-on activity, interactive online exercises, and group discussion. Research Information Management: Libraries Leading the WayLibrarians are assuming larger roles in managing research data and other aspects of research support, and our institutions are taking a much greater interest in the data about the research. In this discussion, panelists—practitioners in the emerging field of Research Information Management (RIM)—will talk about the different motivations that led to RIM systems implementations on their campuses and how their libraries are leading the way. OCLC Update Luncheon: The library on-demandIncreasingly, library services are being shaped by end-users’ experiences with commercial services and websites. People expect to easily find what they’re looking for. They expect one-click ordering and delivery of all materials. They expect the fulfillment of physical library materials to be as fast as their favorite online retailer. And, they want an equally simple way to return physical materials. 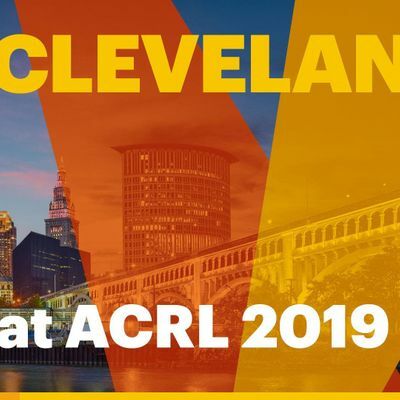 To support these shifting expectations, OCLC envisions a “library-on-demand” approach, where libraries deliver materials quickly, ensure intuitive discovery, provide connected collections, and take advantage of automated staff workflows. OCLC research with end users lays the groundwork and helps identify how these expectations are manifested in the library environment. 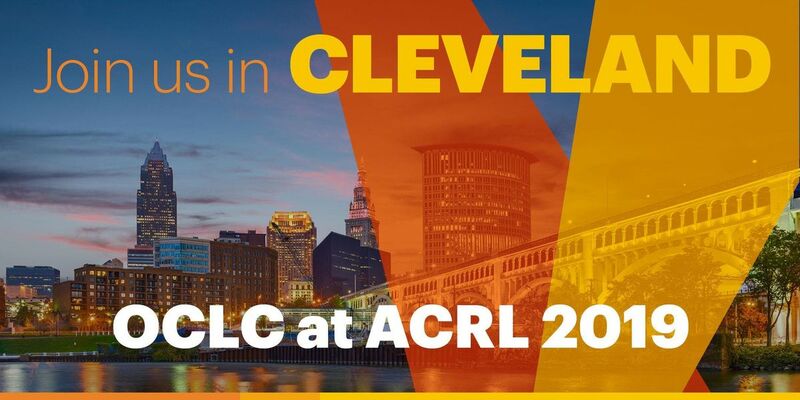 Join fellow library leaders and OCLC colleagues to learn how OCLC enables libraries to offer an unprecedented user experience from Discovery to Access. Cathy King, Executive Director, Delivery Services, and Lynn Silipigni Connaway, PhD, Director, Library Trends and User Research, will speak. Lunch will be served. Registration is required so that we can best accommodate our guests. OCLC Hot Topic: E-content AccessUnderstand how to deliver e-content using existing library credentials. Container Collapse and the Information Remix: Students' Evaluations of Scientific Research Recast in Scholarly vs. Popular SourcesWhat’s in a name? Or perhaps the saying should be, “What’s in a result?” When exploring results pages from our favorite search engine, does the resource container matter? How do these information seeking behaviors influence the current information literacy instruction landscape? Learn how students from high school to grad school evaluate the citability and credibility online resources. Find out how students in an IMLS-funded project react when a journal article is reported on in scholarly and popular news. Discover the variety of uses students consider when selecting resources and engage with colleagues to devise new strategies for addressing student needs. User-centered Design in Context Join our panel of experts in user experience and web design to hear about techniques that make the delivery of exceptional user experiences more effective. The session will cover accepted techniques for using data to drive improvements, user-centered design trends and standards beyond the library industry, the importance of user personas in user experience and website design, and lessons—good, bad, and ugly—that the panelists will share from their own experiences.